On Christmas Eve, we read Luke’s dramatic account of the birth of Jesus (2:1-20). On Christmas Day, we read the prologue from John’s gospel (1:1-14). At first glance these texts seem to offer two very different perspectives on the coming of Christ into the world: Luke’s is earthy and political, conveying the historical contingencies (and palpable dangers) that attended the first Advent; John’s is meditative and philosophical, written in academic Greek, locating the “Word made flesh” not in the provincial politics of first-century Palestine but boldly and unapologetically in the sweeping history of the cosmos. But despite the differences there is, I suggest, an affinity, a necessary and even urgent correspondence between these two traditional Christmas narratives. In Luke, we glimpse what the tyranny of the imperium romanum meant for its subjects, especially those on the margins of empire geographically, ethnically, and religiously. In verses 1 through 5 it is clear that the events leading up to Jesus’ birth were no picnic — nothing like the familiar, beatific stuff of greeting-card sentimentality. Rather, despots and oligarchs populate the scene and the treacherous journey to the stable — labor pains upon labor pains — includes refugees on the run, authorities asking for papers, and risky border crossings. We can miss this, of course, and often do — especially when we rush to the later, more palatable and accessible passages of Luke’s narrative. The Christmas pageant version of verses 8 through 14, for instance, has long colonized our imagination, with toddlers in bathrobes and bed sheets, coat-hanger halos on their wee heads. But as Dorothee Soelle once observed, “the boot of the empire crushes everything in its way in the narrative from Bethlehem to Golgotha.” The terror of the shepherds was real and, as those among the poorest of the poor, the glad tidings they received from the angels (in whatever form these heavenly messengers appeared to them) signaled something of the radical politics of the infant king and his own future dealings, as one among the poorest of the poor, with the imperial powers. This Word is eternal with God, is creator of all things, and through him has come life and light (two of John’s favorite metaphors). Truer to the Greek is the sense that the Logos “pitched his tent with us.” This is as earthy and material as John gets in his prologue but it says everything about the divine logic that (re)orders creation: this Word is not abstract or arbitrary; it does not stay in the realm of metaphor. It longs — God longs — to be with us. A baby born in Palestine to parents on the run is the universe’s logic from the foundations of the world. There is no part of our creatureliness that this child will not share in.“There, on the fringe of society,” writes Gustavo Gutiérrez, “the Word became history, contingency, solidarity, and weakness.” That he pitched his tent among us suggests not only a desire for intimacy but a special affinity with the displaced and dispossessed, with migrants, refugees, deportees, detainees, “aliens” of all kinds — all men, women, and children, past, present, and future, in forced exile. (If we read the nativity narratives without the scandal of our current immigration crisis in mind we are missing something crucial about their significance). Chapter 2 of Luke’s gospel can easily be reduced to Christmas pageant nostalgia; John’s prologue can leave us bewildered by a form and formality hard to warm to. But together, on Christmas Eve and Christmas Day, the full picture of salvation history comes into view: the familial and the philosophical; the provincial and the universal, the personal and the cosmic. And we find our place in a story that at once traverses the dusty roads of Nazareth and the farthest galaxies of the heavens. For unto us is born this day in the city of David a Savior, who is Christ the Lord: in him was life, and the life was the light of all people. 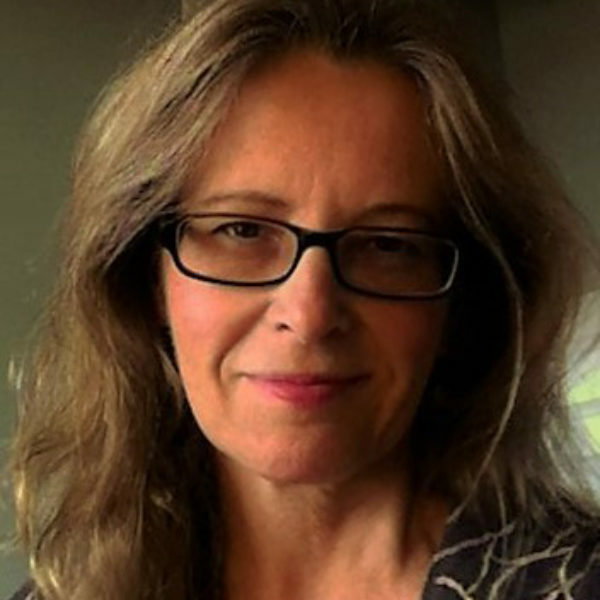 Debra Dean Murphy is associate professor of Religious Studies at West Virginia Wesleyan College and serves on the board of The Ekklesia Project. She blogs about books, movies, music, art, politics — and how religion intersects all of these arenas — at Intersections: Thoughts on Religion, Culture, and Politics. She is working on a book tentatively called Beauty, Mystery, Terror, Consolation: Poetry and the Aesthetics of Environmentalism.